Rebel Targets are non-player characters that can be attacked for rewards, which can be a variety of gold, mods, and cores/attachments (I’m assuming). Every time you send your commander to attack them, your commander will bring back at least one item or prize, sometimes more. 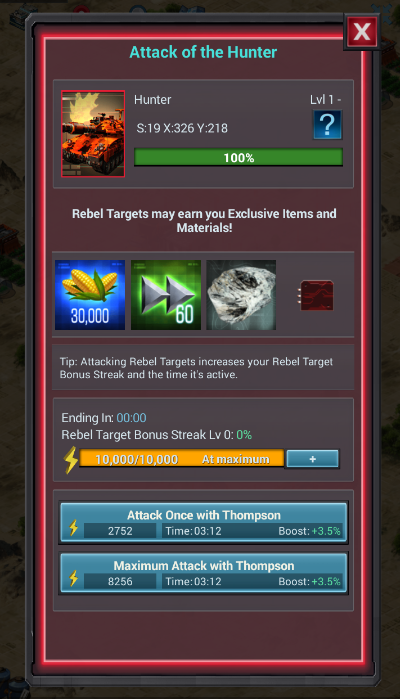 The higher the level of the Rebel Target, the better the prizes or items will be. To attack them, you click on, or tap one of them depending on your device. You will be presented with this screen, on which you can select “Attack Once,” or “Maximum Attack.” Attack Once is exactly what it sounds like, your commander will attack one time. If you click Maximum Attack, your commander will attack the rebel target several times at once. The amount of times you can attack is dependent upon your Commander tree research, as it can increase your maximum energy and reduce the cost of energy per attack. 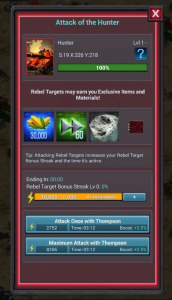 By attacking once multiple times, you can increase the Rebel Target Bonus Streak, which adds a boost to your Commander’s Rebel Target Attack Boost, which lasts for an hour, which you can see below. The more times you attack consecutively, the higher the boost rises. 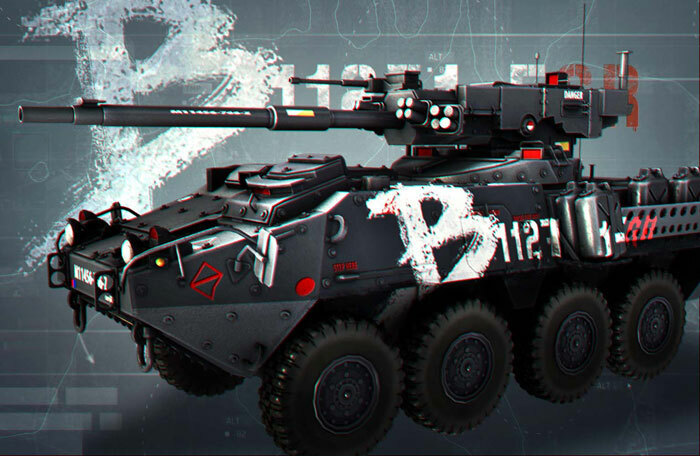 The boost also increases if you choose Maximum Attack and do not defeat the Rebel Target in one maximum attack. Basic (Gray) – a Level 1 gift is awarded to the alliance that defeats it. Standard (White) – a Level 2 gift is awarded to the alliance that defeats it. Specialized (Green) – a Level 3 gift is awarded to the alliance that defeats it. Advanced (Blue) – a Level 4 gift is awarded to the alliance that defeats it. 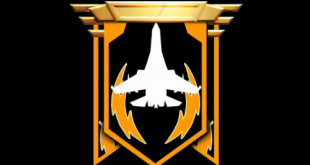 Elite (Purple) – a Level 5 gift is awarded to the alliance that defeats it. Legendary (Orange/Gold) – a Level 6 gift is awarded to the alliance that defeats it. The higher the level of the gift, the better it will be. 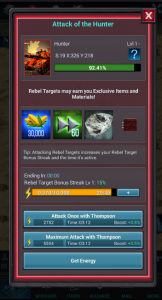 The higher the level of the Rebel Target, the more XP is awarded for attacking them as, as well. The timer that flashes under Rebel Targets will count down to zero and they will disappear and respawn if they are not defeated before the timer expires. Hi, single attacks will build up your attack streak where as max attacks won’t. 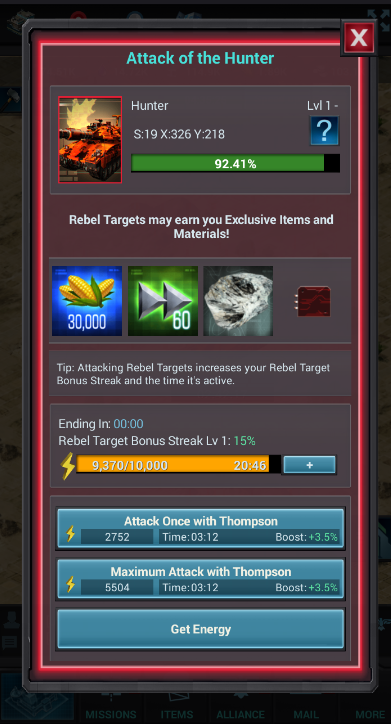 Why can’t the Commander Rebel tree reach 30 points under the Max energy tree? Out of the 50 points, it’s impossible to max it with the requirements of the previous skills. my commander is almost lvl2 and now suddenly wont attack lvl1 rebel tanks etc. 10000max in power. checked everything, any ideas? ?